CMT - Charles Abrams, M.D., Ph.D.
Charles Abrams, an associate professor at SUNY Downstate Medical Center in Brooklyn, N.Y., was awarded an MDA research grant totaling $414,787 over a period of three years to study the role of connexin protein mutations in type 1X Charcot-Marie-Tooth disease (X-linked CMT, or CMT1X). More than 300 mutations in the gene for the connexin 32 protein have been linked to CMT1X. Abrams and colleagues will study whether interactions between mutated connexin 32 protein and a related CNS protein, connexin 47, are the cause of the CNS dysfunction found in the disease. "We are at the early stages in our understanding of the roles of mutations in connexin 32 in the CMT1X disease process," Abrams said. "We have identified some of the ways in which mutations disrupt the function of connexin 32, but we still do not fully understand why these disruptions lead to both peripheral and central nervous system dysfunction." Funding for this MDA grant began February 1, 2012. SMA - Tomoyuki Awano, Ph.D.
SMA is caused by the deletion of the SMN1 gene and a resulting deficiency of functional SMN protein. In humans, a nearly identical gene called SMN2 produces some partially functional SMN protein. Typically, the greater the number of copies a person with SMA has of the SMN2 gene, the less severe the disease. But sometimes the SMN2 copy number doesn’t predict a person’s disease course. This has been demonstrated in families, where multiple members are missing the SMN1 gene and have the same number of copies of SMN2, but whose SMA turns out drastically different. In previous work, Awano and colleagues have confirmed that this inconsistency is observed also in mouse models of SMA. A possible explanation is "modifier genes" that influence the disease course via the modulation of different biological pathways. "Identifying modifier genes will not only reveal a potential target for cures, but will also shed light on the unknown disease mechanisms of SMA," Awano said. 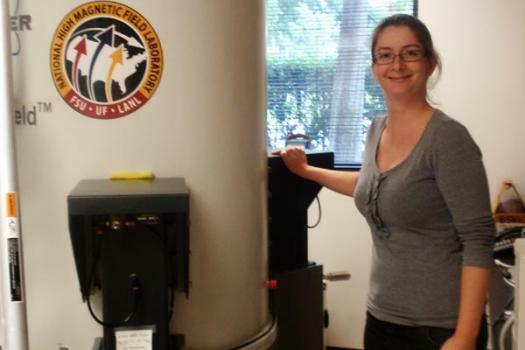 Pompe - Celine Baligand, Ph.D. The current therapeutic approach for Pompe disease, enzyme replacement therapy or ERT, has improved outcomes for people with the disease. 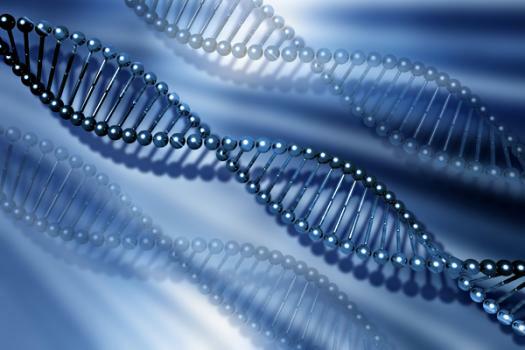 Alternatives to ERT, such as gene therapy, are under development. Baligand and colleagues plan to develop tools, including magnetic resonance (MR) spectroscopy and other imaging techniques, for use in the noninvasive study of the natural course of Pompe disease in a mouse model. 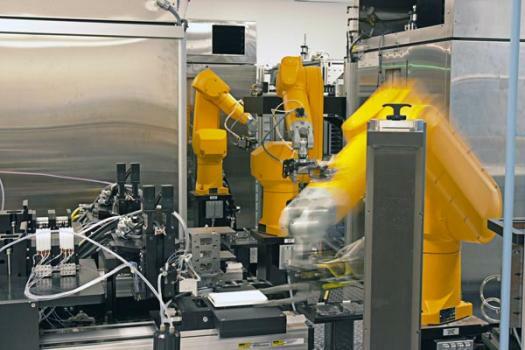 Such tools will facilitate the development of second- and third-generation treatment strategies for the disease. "The development of MRI technology is crucial to improving the treatment of muscle diseases," Baligand said, noting that the development and validation of appropriate procedures for MRI could inform the preclinical testing of drugs and gene therapy in Pompe mouse models, potentially speeding the development of treatments for people with the disease. 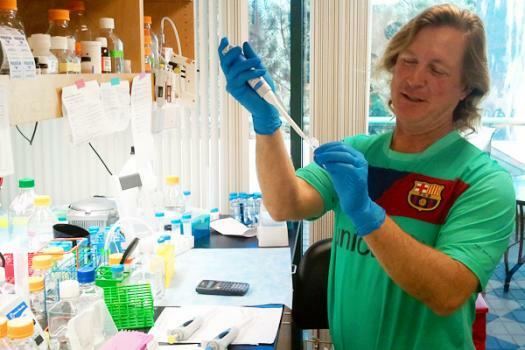 IBM - Sanford Bernstein, Ph.D.
Sanford Bernstein, a professor of biology at San Diego State University in California, was awarded an MDA research grant totaling $370,311 over a period of three years. The funds will help support Bernstein's research into the underlying molecular causes of, and potential treatments for, inclusion-body myopathy type 3 (IBM-3). IBM-3 is caused by a mutation in a protein called myosin, the "molecular motor" that drives muscle contraction. "Our biochemical and ultrastructural studies have shown that IBM-3 myosin is prone to unfolding and to forming clumps called aggregates," Bernstein said. "Further, muscle appears to respond to the mutant protein by producing autophagosomes, cellular bodies designed to encapsulate and degrade protein aggregates." Bernstein's team will study the components that comprise the IBM-3 aggregates. Then, in an IBM-3 fruit fly research model that they developed, the investigators will test various approaches aimed at hastening the clearance of protein aggregates and ameliorating defective muscle structure and function in IBM-3. "IBM-3 is a rare disease, and no model that produces the inclusion bodies we see in our drosophila model has been developed," Bernstein said. "Hence, use of this model presents the current best opportunity to develop a better understanding of the basis of the disease or its possible treatment." 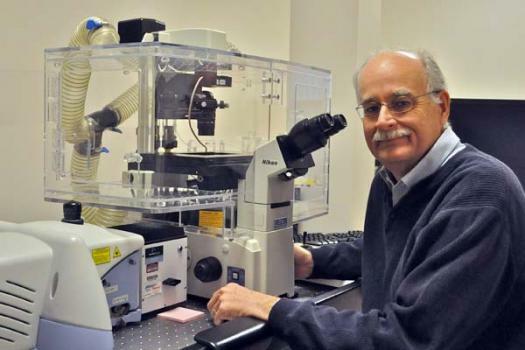 DD/LGMD - Robert Bloch, Ph.D.
MDA has awarded a research grant totaling $362,295 over a period of three years to Robert Bloch, a professor in the department of physiology at the University of Maryland School of Medicine in Baltimore. The funds will help support Bloch's study of the role of a protein called dysferlin in type 2B limb-girdle muscular dystrophy (LGMD2B) and distal muscular dystrophy (DD, or Miyoshi myopathy). "Limb-girdle muscular dystrophy 2B and Miyoshi myopathy are caused by mutations in the gene that carries instructions for dysferlin, but the role of dysferlin and its location in muscle cells are controversial," Bloch said. Bloch and colleagues are working to answer these questions by studying isolated muscle fibers from normal and dysferlin-mutant mice, studying the structure and function of intact muscles from these same mice, and comparing what they observe in mouse muscle to muscles of people with LGMD2B or Miyoshi myopathy. "The state of research in my area is in considerable flux, largely because of problems that have arisen from attempts to translate studies done in isolated cells to what occurs in muscle tissue in a living animal," Bloch said. "We have been trying to bridge this gap and have been getting results that we did not expect based on earlier work from other laboratories. "It will take us some time to sort out the differences, but once we do so we anticipate making rapid progress." Muscle Physiology - Elizabeth Chen, Ph.D.
MDA has awarded a research grant totaling $321,489 over a period of three years to Elizabeth Chen, an associate professor at Johns Hopkins University School of Medicine in Baltimore. 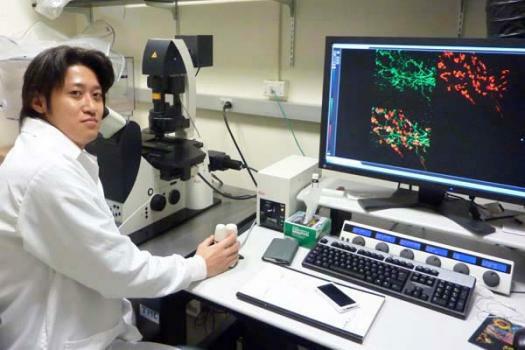 The funds will help support Chen's research into a mechanistic understanding of normal muscle physiology, which will inform potential therapeutic strategies aimed at treating various genetic and acquired degenerative muscle diseases. Skeletal muscle is composed of large numbers of muscle fibers, each of which is the product of fusion between hundreds or even thousands of immature muscle cells called myoblasts. Myoblast fusion is not only important for skeletal muscle development, but also essential for stem-cell-based muscle regeneration. Despite a large body of studies over several decades, the mechanisms underlying myoblast fusion in mammals remain poorly understood. In this study, Chen and colleagues plan to characterize the role of a small type of protein called a GTPase during myoblast fusion in fruit fly (drosophila) muscle development and in a mouse model of muscle regeneration. "While studies in Drosophila continue to provide novel insights into the molecular and cellular mechanism of myoblast fusion, the fundamental principles revealed by the Drosophila studies are now being tested in the mammalian systems," Chen said. "Such a cross-species approach will provide the basis for enhancing therapeutic efficacy in the treatment of a variety of muscle degenerative disease." Funding for this MDA grant began Feb. 1, 2012. MG - Premkumar Christadoss, M.B.B.S. Premkumar Christadoss, a professor in the department of microbiology and immunology at the University of Texas Medical Branch in Galveston, was awarded an MDA research grant totaling $390,000 over a period of three years to study the potential for gene therapy as a treatment in myasthenia gravis (MG). In MG, an "autoimmune" disease, the immune system attacks the body's own tissues. The attack occurs at the junction between nerve and muscle, and targets the acetylcholine receptor, the part of a muscle cell that receives signals from a nerve cell. Specific functions involved in driving the attack are generated by components (including the proteins C2, C4 and C1) in what is known as the complement system. In a research mouse model of MG, Christadoss and colleagues will administer what are called small interfering RNAs (siRNAs) designed to block activation of C2, C4 and/or C1. Inhibition of the proteins should shed light on each protein's role in the autoimmune disease process and guide the development of therapies that can target them. "Successful completion of this project will lead to human complement C2, C4 or C1 siRNA gene therapy for myasthenia gravis," Christadoss said. "Moreover, this complement gene therapy can be applied to other complement-mediated muscle diseases as well." DMD - Kay Davies, M.A., Ph.D.
MDA awarded a research grant totaling $260,000 over a period of two years to Professor Dame Kay Davies, Dr. Lee’s Professor of Anatomy in the department of physiology, anatomy and genetics at the University of Oxford in the United Kingdom. The funds will help support Davies’ development of an effective therapy applicable to all people with Duchenne muscular dystrophy (DMD). Davies’ approach is to identify a drug that will increase levels in muscle of the structural protein utrophin (similar to dystrophin, the protein deficient in DMD). “A small molecule drug delivered to the whole body following oral administration can potentially target all affected muscle types, including heart and diaphragm, and would not require [as other therapies under development for DMD do] the use of an immunosuppressant,” Davies explained. The team will screen candidate compounds for their ability to increase utrophin activity in a mouse model designed to permit real-time quantification of utrophin levels in the living animal. Davies expects that the new screen will enable her team to rapidly identify new small molecules as lead candidates for DMD. Mito. Myopathy - Salvatore DiMauro, M.D. MDA awarded a research grant totaling $272,974 over a period of two years to Salvatore DiMauro, the Lucy G. Moses Professor of Neurology at Columbia University Medical Center in New York. The funds will help support DiMauro’s research into developing a therapy designed to treat neutral lipid storage disease with myopathy (NLSDM), a mitochondrial myopathy. NLDSM is a lipid storage myopathy. The genetic cause of the disease is mutations in the PNPLA2 gene, which carries instructions for ATGL, anenzyme (type of protein) that normally sticks to cellular “fat storage compartments” called lipid droplets and breaks down the more complex lipids, such as triglycerides, into simpler fatty acids. These fatty acids are then used by mitochondria — the “energy factories” that provide the power required for cells to perform their functions. “We have been following for five years an 18-year-old woman with well-documented NLSDM, who is still totally asymptomatic although her muscle and cultured skin fibroblasts [immature cells that will develop into fibrous tissue] are loaded with triglyceride droplets,” DiMauro said. His team also has obtained cultured fibroblasts from four symptomatic patients with PNPLA2 mutations. In cultured cells, DiMauro and colleagues plan to test the ability of compounds called beta agonists to reduce the abnormal triglyceride storage, with the ultimate goal of applying one of the strategies to their patients. If favorable results are obtained, the investigators plan to conduct a one-person trial in their “pre-symptomatic patient,” followed by an international controlled trial. 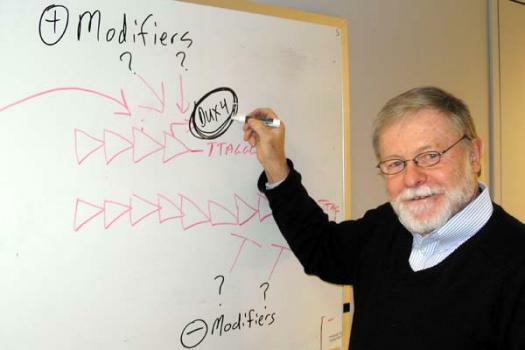 FSHD - Charles Emerson, Ph.D.
MDA awarded a research grant totaling $600,000 over a period of three years to Charles Emerson, director and senior scientist at Boston Biomedical Research Institute in Watertown, Mass. The funds will help support Emerson’s efforts to identify genetic modifiers of the DUX4 gene; such modifiers potentially could become therapeutic targets in facioscapulohumeral muscular dystrophy (FSH, or FSHD). Evidence from recent studies suggests that the DUX4 gene (which carries instructions for the DUX4 protein) is the primary underlying molecular cause of FSHD. However, the mechanism by which DUX4 causes the disease remains unclear. Preliminary studies conducted in Emerson’s lab, involving a large group of FSHD-affected families, have confirmed the importance of the DUX4 gene as a factor in the FSHD disease process. The studies also have identified an alternative disease mechanism in which family-specific genetic modifiers modulate DUX4 function and gene expression (production of the DUX4 protein), effectively enhancing or suppressing disease signs, symptoms and severity. 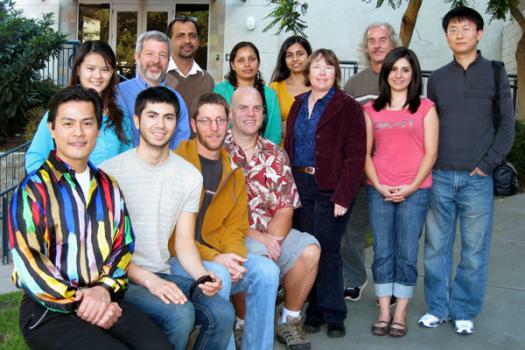 Emerson’s team plans to identify the underlying mechanisms that modulate DUX4 via studies in FSHD-affected families. Once identified, the DUX4 gene disease modifiers potentially may serve as therapeutic targets for treatment of FSHD. 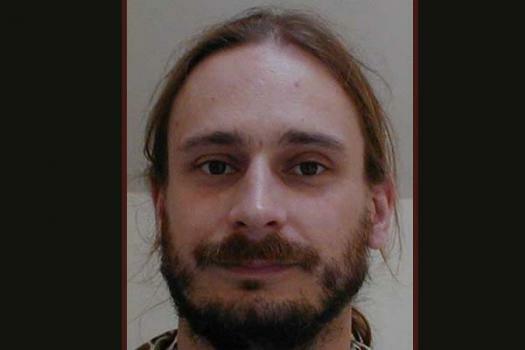 Update (Feb. 12, 2014): Charles Emerson has relocated to the University of Massachusetts Medical Center in Worcester. DMD/BMD - James Ervasti, Ph.D.
James Ervasti, professor of biochemistry, molecular biology & biophysics at the University of Minnesota in Minneapolis, was awarded an MDA research grant totaling $390,000 over a period of three years to help support his research into improving two therapies currently in development for people with Duchenne (DMD) and Becker (BMD) muscular dystrophies. Exon skipping is a strategy in which molecules called anstisense oligonucleotides (AONs) target error-containing parts of a gene and coax cells to retain the error-free parts for protein synthesis. As with exon skipping, viral delivery of miniaturized dystrophin genes is designed to restore sufficient levels of the dystrophin protein, which is deficient in DMD and BMD. Both strategies create non-natural versions of dystrophin, and Ervasti and colleagues have shown that the miniaturized dystrophin proteins are prone to misfolding, instability and clumping into aggregates — all of which likely limit their effectiveness. 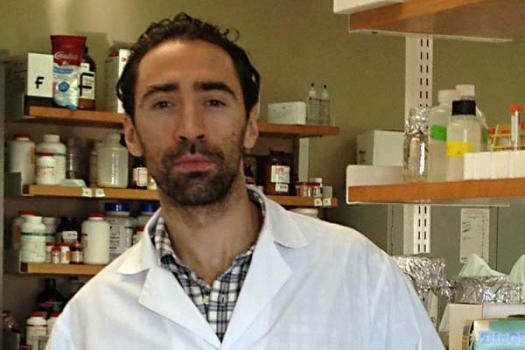 In his new research, Ervasti will study ways to assess and optimize the stability of miniaturized dystrophin proteins in the laboratory before they are tested in animal models with dystrophin deficiency. Ervasti's team also will examine how exon-skipping strategies currently under investigation to treat DMD and gene deletions associated with BMD affect the stability of dystrophin. A better understanding of how missing stretches of the dystrophin protein affect folding "may further allow us to identify drugs to treat patients with BMD and also enhance the effectiveness of exon skipping approaches," Ervasti said. 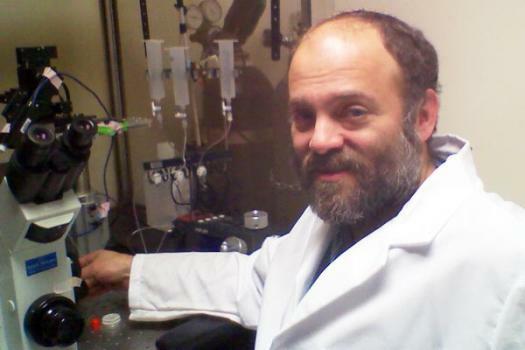 Pompe - Darin Falk, Ph.D. The current treatment for Pompe disease is enzyme replacement therapy (ERT), in which the acid maltase enzyme is administered to patients via intravenous infusion. ERT has dramatically changed the outcomes for people with Pompe disease but, Falk says, it "does not effectively reach and treat the disease component in the central nervous system." In a Pompe research mouse model, Falk and colleagues will use the emptied-out shell of an adeno-associated virus (AAV) to deliver the gene for the acid maltase enzyme to the heart, skeletal muscles and spinal cord. It’s hoped that the result will be sustained enzyme activity at appropriate levels in the targeted tissues. Falk noted that while gene therapy already is a promising treatment strategy, further development and optimization of AAV delivery methods will allow scientists to more precisely target key tissues, resulting in improved outcomes for people with the disease. CMD - Mahasweta Girgenrath, Ph.D.
MDA awarded a research grant totaling $357,465 over a period of three years to Mahasweta Girgenrath, an assistant professor in the Health Sciences Department at Boston University in Boston. The funds will help support Girgenrath’s work to find a combination therapy to treat type 1A congenital muscular dystrophy (MDC1A). Girgenrath and colleagues plan to explore strategies designed to inhibit the inflammation and fibrosis (muscle scarring) associated with MDC1A, either alone or in combination with improved muscle regeneration. 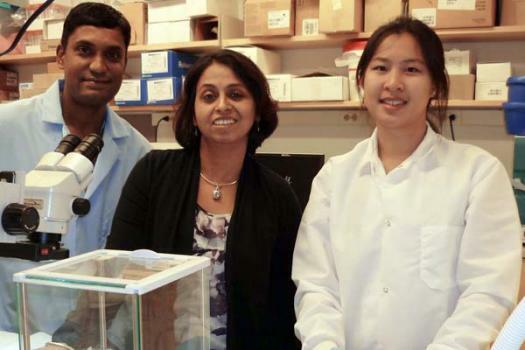 The team will conduct their studies in the DyW mouse model, which develops a muscular dystrophy that closely matches the disease process seen in humans with MDC1A. “We previously have shown that improving regeneration by increased activity of a growth factor called IGF1 improves muscle mass, but does not affect inflammation,” Girgenrath said. The group will now try a therapy designed to prevent inflammation in the muscles of the DyW mice, both alone and in combination with IGF1-based regeneration therapy. FSHD - Scott Harper, Ph.D.
MDA awarded a research grant totaling $317,464 over a period of three years to Scott Harper, an assistant professor of pediatrics at the Ohio State University College of Medicine in Columbus. The funds will help support Harper's work to develop a new mouse model of facioscapulohumeral muscular dystrophy (FSH, or FSHD). "The root causes of FSHD have puzzled scientists and clinicians for decades, but some recent breakthroughs support the hypothesis that a gene called DUX4 is involved in the disease," Harper said. "Now that we have a gene target in DUX4, we can begin developing treatments that counteract that gene's toxic effects to muscle." Harper noted that animal models of human diseases including FSHD are "important tools for testing therapeutics," but that "unfortunately, no such model exists for FSHD." With colleagues, Harper plans to develop an FSHD research mouse model that contains DUX4 for use in the study of the disease, and the development and testing of potential therapies. "I am hopeful that the FSHD field has turned a corner and that we have now entered a new era in which rational therapeutic strategies for FSHD are now possible," Harper said. "We believe this animal model will help in this effort." 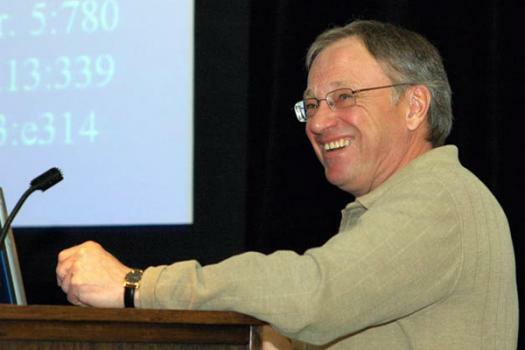 ALS - Terry Heiman-Patterson, M.D. MDA awarded a research grant totaling $330,000 over a period of three years to Terry Heiman-Patterson, section chief of neuromuscular disorders at Drexel University College of Medicine in Philadelphia. 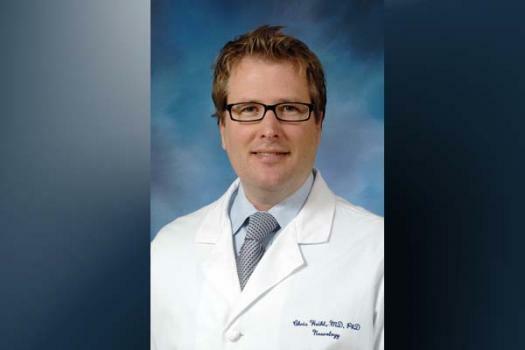 Heiman-Patterson also is medical director of the MDA/ALS Center of Hope at that institution. The newly awarded funds will help support Heiman-Patterson's work to identify "modifier" genes in mouse models of amyotrophic lateral sclerosis (ALS). A great deal is known about one of the most commonly used mouse models of ALS — the SOD1 mouse. This model carries mutations in the SOD1 gene and develops some of the same signs and symptoms exhibited by people with SOD1-related ALS. "Our lab, along with others, have shown that disease severity in these transgenic mice depends on their genetic background," Heiman-Patterson said. With colleagues, Heiman-Patterson plans to compare a number of mouse models and identify genes that are able to modify disease. It's already suspected that a region on chromosome 17 modifies disease severity in mice with certain backgrounds. Heiman-Patterson's team intends to validate that the region of chromosome 17 does modify disease, to identify the responsible gene within the region, and to test whether the gene also can affect severity in other models of motor neuron disease. The identification of modifier genes will provide new targets for therapy development. ALS - Kenneth Hensley, Ph.D.
MDA awarded a research grant totaling $328,153 over a period of three years to Kenneth Hensley, associate professor in the departments of pathology and neuroscience, and research director in the department of pathology at the University of Toledo Medical Center in Ohio. 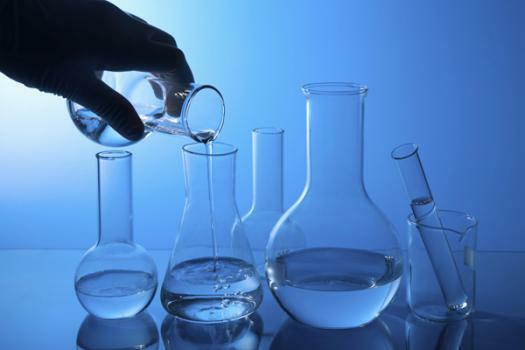 The funds will help support Hensley’s study of a potential new target and treatment strategy for amyotrophic lateral sclerosis (ALS). Recent findings from Hensley’s laboratory and from other groups, Hensley said, suggest that ALS actually begins near the junction of nerve and muscle (the neuromuscular junction, or NMJ). Research conducted by Hensley and colleagues implicates a protein calledcollapsing response mediator protein-2, or CRMP2, in this process of axon degeneration. The group will now test three distinct pharmacological (drug-based) approaches to interrupting CRMP2-dependent axon degeneration in the SOD1 research mouse model of ALS. “We have invented and patented small molecule compounds calledlanthionines that bind CRMP2 and inhibit or reverse CRMP2-dependent axonal degeneration,” Hensley said. The investigators also are researching antibodies that could be administered to people with ALS, where they would block semaphorin binding to neural receptors and prevent the inappropriate activation of CRMP2 pathways. ALS - Claudio Hetz, Ph.D.
Claudio Hetz, full professor at the Institute of Biomedical Sciences, Faculty of Medicine at the University of Chile in Santiago, was awarded an MDA research grant totaling $217,500 over a period of three years. 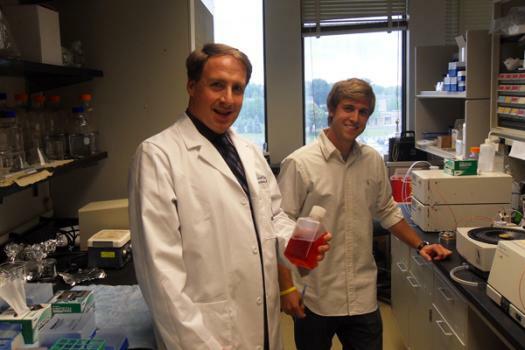 The funds will help support Hetz’ study of protein misfolding and mislocation in amyotrophic lateral sclerosis (ALS). The primary mechanism underlying nerve cell (motor neuron) death in ALS remains unknown. One hypothesis suggests that alterations in protein folding functions in a cellular compartment called the endoplasmic reticulum(ER) determine the aggregation and neurotoxicity of ALS-linked mutant SOD1 protein. Hetz and colleagues have preliminary data that shows specific ER folding mediators called foldases are involved in cellular protection both in models of ALS and in human sporadic ALS spinal cord samples. The team has demonstrated that induction of ER stress in motor neurons triggers a dramatic misfolding of normal SOD1 protein, resembling recent observations described in sporadic ALS-affected tissue. The investigators uncovered components of the stress pathway that mediate the abnormal misfolding of SOD1 and identified three foldases that can cause normal SOD1 to misfold. 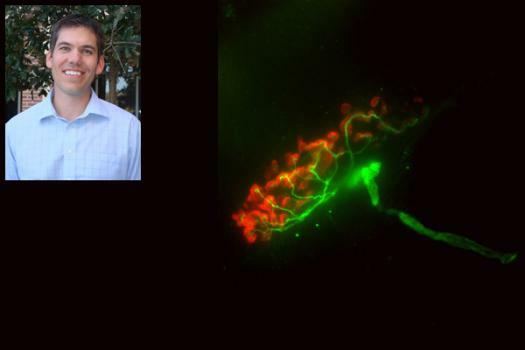 In his new work, Hetz aims to define the impact of specific foldases on motor neuron dysfunction, and assess the possible therapeutic benefits of manipulating them in ALS. “Since protein folding stress is a common event observed in familial and sporadic cases, our research may open novel possibilities for disease intervention in the near future,” Hetz said. DMD - Andrew Ho, Ph.D. Currently, there are no effective treatments to reverse the skeletal muscle degeneration associated with DMD. Available therapies treat only the symptoms, not the underlying cause of the disease. "However, recent progress in a mouse model study suggests that transplantation of mouse muscle stem cells could ameliorate the debilitating effects of skeletal muscle wasting," Ho said. With colleagues, Ho plans to study human muscle stem cell behavior, with a particular focus on identifying conditions that promote an increase in stem cell numbers. The team also will study the efficacy of a stem cell transplantation approach in a mouse model of DMD to establish whether it can reverse disease-related muscle loss. Favorable results could point the way toward new therapeutic approaches in DMD. 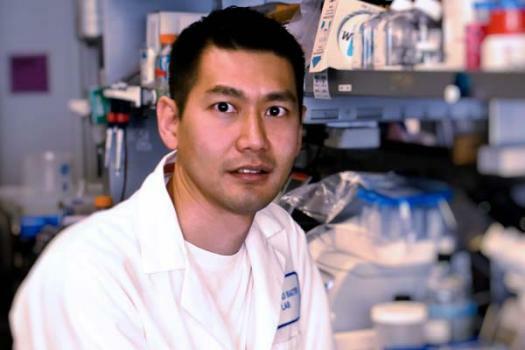 ALS - Eric Huang, M.D., Ph.D.
MDA awarded a grant totaling $412,500 over a period of three years to Eric Huang, professor of neuropathology at the University of California in San Francisco. 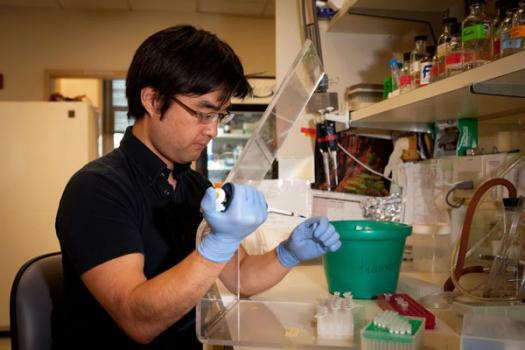 The funds will help support Huang’s work to create cellular and mouse models of amyotrophic lateral sclerosis (ALS) that is caused by mutations in the fused in sarcoma (FUS) gene. Genetic data have shown that mutations in the FUS gene can be identified in more than 5 percent of people with familial (inherited) ALS. 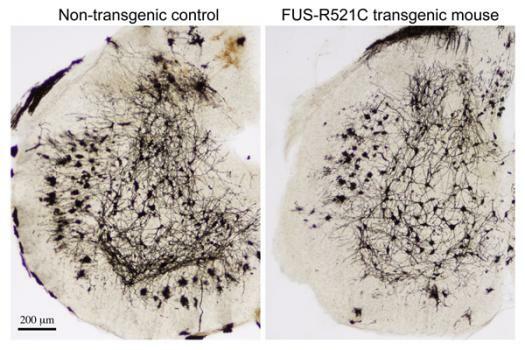 Huang and colleagues hypothesize that these FUS mutations interfere with the normal production of proteins, ultimately leading to the degeneration and death of the nerve cells called motor neurons. The team’s goal is to create cellular and transgenic mouse models of FUS-related ALS that can be used to determine the ways in which mutant FUS proteins cause motor neuron degeneration. Studies in the new FUS transgenic mice are expected to provide novel insights into the disease process and therapeutic targets for ALS, Huang said. DMD - Robert Korneluk, Ph.D.
MDA awarded a research grant totaling $425,952 over a period of three years to Robert Korneluk, director of the Apoptosis Research Centre at the Children’s Hospital of Eastern Ontario Research Institute, and distinguished professor at the University of Ottawa in Ontario, Canada. The funds will help support Korneluk’s study of the Nuclear Factor kappaB(NFkB) signaling pathway in muscle diseases such as Duchenne muscular dystrophy. The NFkB signaling pathway is critical for normal skeletal muscle function, and is important for promoting recovery in response to muscle injury. There also is strong evidence that NFkB signaling is involved in the disease process of many muscle diseases. Korneluk and colleagues recently found that two proteins called cIAP1 and cIAP2, initially identified by the group, are required for various aspects of NFkB signaling in skeletal muscle. The investigators also found that the loss of cIAP1 protein activity in muscle, in cultured cells and in mice, leads to changes in the NFkB signaling pathway, with subsequent improvement of muscle function and recovery. Korneluk’s team plans to define the roles and mechanism of action of cIAP1 and cIAP2 in NFkB signaling in skeletal muscle, and evaluate their contribution to the DMD disease process. Additionally, the investigators will evaluate the therapeutic potential in muscular dystrophy of several drugs that specifically and strongly target cIAP1 and cIAP2 for destruction. ALS — Brian Kraemer, Ph.D.
MDA has awarded a research grant totaling $316,557 over a period of three years to Brian Kraemer, a research biologist in the Geriatrics Research Education and Clinical Center at the Veterans Affairs Puget Sound Health Care System in Seattle. The funds will help support Kraemer's study of the connection between mutated TDP43 protein and motor neuron (nerve cell) degeneration in amyotrophic lateral sclerosis (ALS). Abnormal TDP43 protein has been observed in the affected brain and spinal cord nerve cells in people with ALS, and mutations in the gene for TDP43 have been shown to cause inherited ALS in some families. Kraemer and colleagues plan to identify the proteins responsible for TDP43 phosphorylation. Then, in a mouse model of ALS, the investigators will test whether inhibition of the abnormal addition of phosphates to TDP43 could be a valid neuroprotective strategy for ALS. 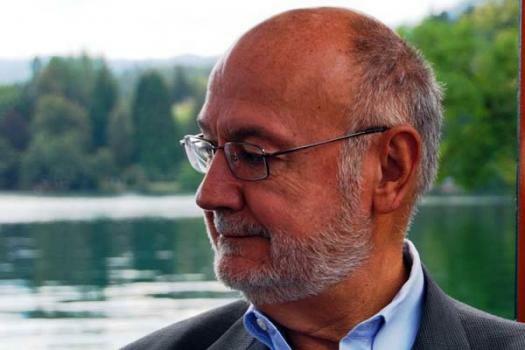 DMD - Vladimir Ljubicic, Ph.D.
Scientists have shown that increasing levels of a structural protein calledutrophin and properly localizing it in the cell appears to partially compensate for the missing dystrophin protein — the underlying cause of DMD. Utrophin has been observed at higher levels in "slow-twitch" muscle fibers (which are less affected in DMD), and at lower levels in "fast-twitch" fibers. "A critical question," Ljubicic said, "is whether the benefits associated with slow-twitch fibers in DMD are strictly dependent on the increased levels of utrophin, or on some other factor associated with the slow-twitch fiber type." In human skeletal muscle cell cultures, and also in mouse models of DMD, Ljubicic will test several compounds to determine whether they promote development of slow-twitch fibers. Because the compounds he plans to test already are in clinical trials for other disorders, favorable results from Ljubicic's research could accelerate the development and implementation of new therapies for DMD centered either on increased utrophin activity in the cell and/or promotion of the slow-twitch muscle-fiber type. 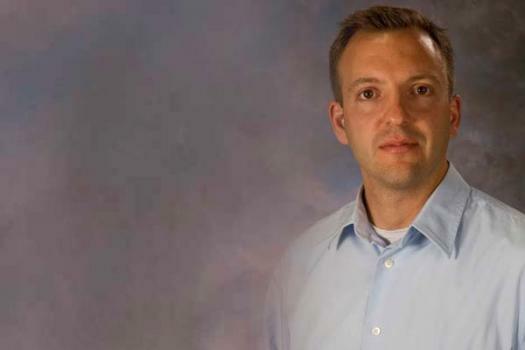 SMA - Christian Lorson, Ph.D.
MDA awarded a research grant totaling $381,582 over a period of three years to Christian Lorson, a professor in the departments of veterinary pathobiology, and molecular microbiology & immunology, at the University of Missouri in Columbia. The funds will help support Lorson’s research into targeting skeletal muscle as a therapeutic strategy in spinal muscular atrophy (SMA). Many therapeutic strategies under development for SMA involve replacement of the missing SMN protein; the aim of such strategies is to prevent loss of nerve cells called motor neurons. Lorson and colleagues will use two different mouse models of SMA to test various gene therapy vectors (delivery vehicles) that instead target skeletal muscle. Their work is expected to determine whether such a therapy based on modulating activity of a non-SMN protein can reduce disease severity and extend survival. 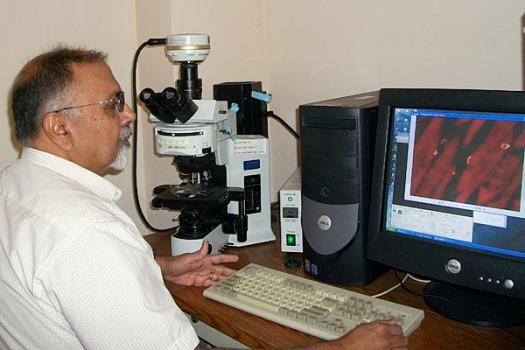 MMD - Mani Mahadevan, M.D. Mani Mahadevan, a professor at the University of Virginia in Charlottesville was awarded an MDA grant totaling $281,352 over a period of two years. The funds will help support Mahadevan's investigation into potential therapies for type 1 myotonic muscular dystrophy (MMD1, or DM1). A key component of Mahadevan's new work is collaboration between the Mahadevan lab and Novartis through the Genomics Institute of the Novartis Research Foundation. Together, the two groups intend to identify compounds that correct defects in muscle tissue formation in DM1. They will do this via a screening method that will evaluate approximately 850,000 compounds; promising candidates will then be evaluated in a mouse model to determine whether they lead to any improvement in the generation of mature muscles in DM1. Compounds identified through the screening process may be used as starting points for further development of a DM1 therapy. "The current state of translational research is very exciting," Mahadevan said. "A number of different approaches, including antisense oligos and small molecules are being developed and tested by labs around the world to try to develop therapies for myotonic dystrophy and have yielded promising results in mouse models." DMD/BMD - Nick Menhart, Ph.D.
Nick Menhart, associate professor of biology at the Illinois Institute of Technology, was awarded an MDA research grant totaling $265,251 over a period of three years to study the properties of modified dystrophin proteins in Duchenne (DMD) and Becker (BMD) muscular dystrophies. There are alternative ways to skip portions of the dystrophin gene to effect the repair achieved with exon skipping. Each produces differently modified proteins, having different properties that, in turn, make them better or worse repairs. Menhart and colleagues plan to characterize different "repaired" versions of dystrophin protein in an attempt to determine which are superior and which will be "maximally effective," in any given person, based on their specific genetic defect. "This is clearly an exciting and even inspirational time in muscular dystrophy research, as exon skipping holds promise as perhaps a truly effective treatment for DMD," Menhart said. "A number of issues remain in translating this to a clinical setting, but so far … the outlook is good." 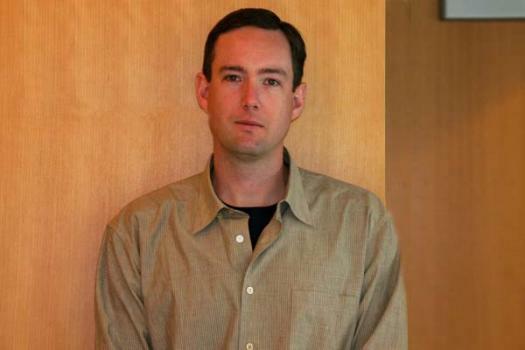 CMD/LGMD - Jeffrey Miller, Ph.D.
MDA awarded a research grant totaling $343,860 over a period of three years to Jeffrey Boone Miller, senior scientist at Boston Biomedical Research Institute in Watertown, Mass., and associate professor of neurology at Harvard Medical School in Boston. The funds will help support Miller’s study of the underlying causes of, and potential therapeutic strategies for, three muscular dystrophies: type 1A congenital muscular dystrophy (MDC1A/CMD), and types 2C and 2D limb-girdle muscular dystrophy (LGMD2C, LGMD2D). During normal skeletal muscle development, immature muscle cells calledmyoblasts fuse together to form large, tube-shaped cells called myotubes. Myotubes ultimately mature into muscle fibers. “We find that myotubes formed in culture from human MDC1A, LGMD2C and LGMD2D patient myoblasts, but not normal myoblasts, spontaneously undergo cell death,” Miller said. Miller and colleagues have found that the abnormal activation of the cell death, caused by the Bax protein and its binding partner Ku70, may underlie the cell-death changes in each of the three diseases under investigation. In his new work, Miller plans to examine the role dysregulation of the Ku70/Bax pathway plays in muscle development. He first plans to determine whether the abnormal function of proteins that modify Ku70 function cause abnormalities in muscle. In a second set of experiments, he will test the hypothesis that restoring Ku70 function to a normal level will inhibit cell death and decrease the abnormalities in human myogenic cells. 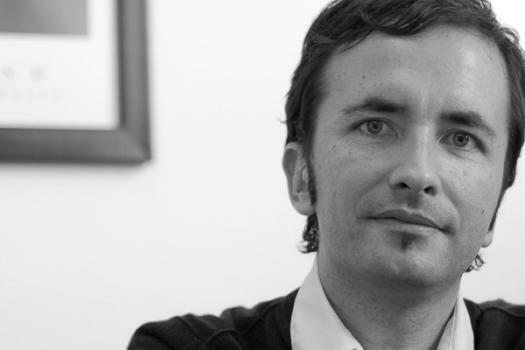 DMD/BMD - Pura Muñoz-Canoves, Ph.D.
MDA awarded a research grant totaling $390,000 over a period of three years to Pura Muñoz-Canoves, ICREA research professor and cell biology coordinator at Pompeu Fabra University in Barcelona. 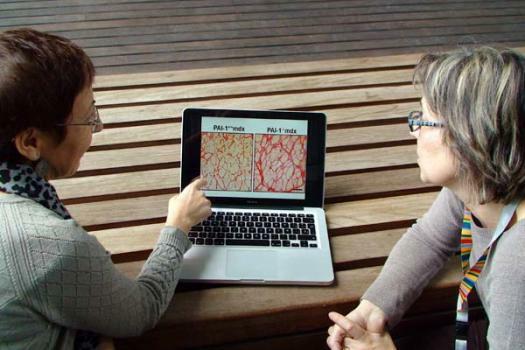 The funds will help support Muñoz-Cánoves' research into strategies aimed at reducing muscle scarring (fibrosis) in people with Duchenne (DMD) and Becker (BMD)muscular dystrophies. Fibrosis is a hallmark of DMD and a major factor in gauging disease severity. Fibrosis also compromises the efficacy of ongoing preclinical gene- and cell-delivery therapies. No treatment exists for reversing fibrosis in DMD; nor is there a clear understanding of the mechanisms underlying fibrosis development in dystrophic muscle (muscle that is deficient in dystrophin protein). Muñoz-Canoves and colleagues plan to test whether and how a protein called PAI-1 (plasminogen activator inhibitor-1) may regulate inflammation-driven muscle degeneration and fibrosis development in muscular dystrophy. "The discovery of new causes of fibrosis development in dystrophic muscle will provide an opportunity for new strategies to halt disease progression," Muñoz-Canoves said. "Since muscle fibrosis also represents a major obstacle for successful engraftment of stem cells in dystrophic muscle, targeting molecules promoting fibrosis appears to be an easy-to-test alternative to improve future DMD stem cell therapies. CMT - Garth Nicholson, M.D., Ph.D.
MDA awarded a research grant totaling $420,000 over three years to professor Garth Nicholson at the ANZAC Research Institute, University of Sydney in New South Wales, Australia. The funds will help support Nicholson's research into the biological and cellular effects caused by mutations in the copper transport gene ATP7A in Charcot-Marie-Tooth disease (CMT). Nicholson and colleagues have discovered that mutations in the copper transport gene ATP7A cause slow but progressive degeneration of the long ends (axons) of the nerve cells called motor neurons that send signals to the limb muscles. The ATP7A protein is essential for human copper metabolism; it is involved with the delivery of copper for physiological processes, and also in maintaining copper balance in humans. Nicholson's team has shown that mutant ATP7A protein does not traffic copper properly in the presence of elevated copper levels. Now it plans to determine whether ATP7A mutations cause disease symptoms by a mild reduction in intracellular copper movement from motor neurons, or whether the mutations work by some other mechanism such as poor delivery of copper to the distal axon, due to the trafficking defect. Using human cellular and research mouse models, the investigators plan to determine the biological and cellular effects of the impaired ATP7A trafficking. 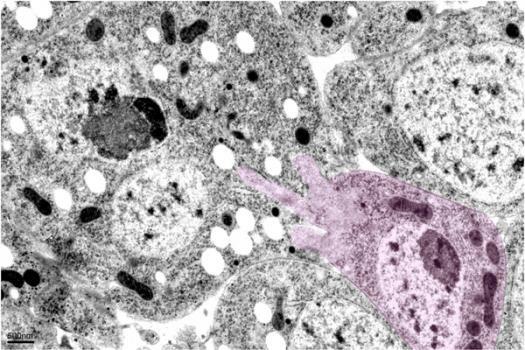 They will investigate the role of interacting proteins in ATP7A trafficking relevant to axonal copper delivery as a means of exploring the possible mechanistic links between motor neuron disorders and copper; and they will establish a transgenic mouse model that carries mutations in the ATP7A gene. 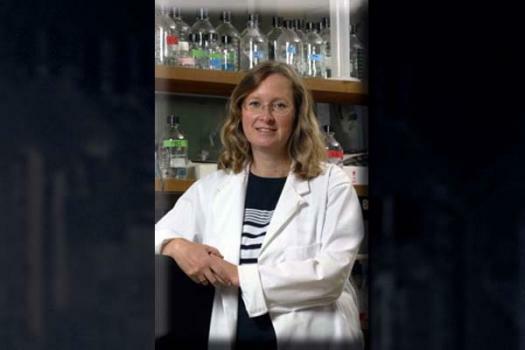 MMD - Laura Ranum, Ph.D.
MDA awarded a research grant totaling $415,092 over a period of three years to Laura Ranum, professor of molecular genetics and microbiology at the University of Florida in Gainesville. The funds will help support Ranum's research into the role of a phenomenon called Repeat Associated Non-ATG translation (RAN translation) in myotonic dystrophy (MMD, or DM1). Ranum and colleagues have discovered a new mechanism, RAN translation, by which repeat sequences (series of repeated segments of DNA) direct protein synthesis in the absence of normal regulatory signals. Evidence suggests that RAN translation results in the production of unexpected mutant proteins in myotonic dystrophy. In her new work, Ranum and colleagues plan to determine how many of these unexpected proteins are made in myotonic dystrophy, which cells in the body are able to make them, and what effects they have on the disease. "We have demonstrated that RAN translation occurs in cell culture and in animal models of type 1 myotonic dystrophy, and in tissues from human patients," Ranum said. "We must now consider the effects that these newly discovered mutant proteins could have on the disease." DMD/BMD - Julie Saba, M.D. 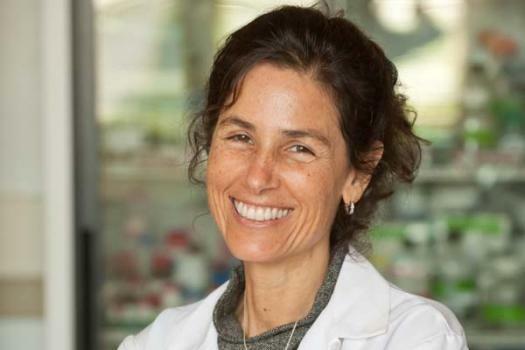 Senior scientist Julie Saba, at Children’s Hospital Oakland Research Institute in Oakland, Calif., was awarded an MDA research grant totaling $392,467 over a period of three years. The funds will help support Saba’s research into enhancing muscle regeneration and muscle stem cell functions as a new strategy for treating Duchenne (DMD) and Becker (BMD) muscular dystrophies. In previous work, Saba and colleagues determined that metabolism of alipid (fat-like substance) called sphingosine-1-phosphate, or S1P, is important in maintaining normal muscle development. S1P stimulates cell signals that promote muscle cell survival and activate muscle stem cells. The team has found that when S1P levels in mice are decreased using drugs or genetic approaches, a corresponding decrease in muscle stem cell activation and muscle regeneration after injury occurs. The investigators also have determined that S1P signaling and metabolism are activated during muscle injury but may be deficient in muscles affected by MD, thereby contributing to poor muscle regeneration. Such findings suggest that stimulating S1P signaling may improve muscle regeneration and strength in people with MD. In her new work, Saba will study the effects of modulating S1P as a therapeutic strategy designed to work by activating peoples’ own stem cells to improve muscle regeneration. “We hope that in the future we may also be able to leverage similar strategies of S1P modulation to improve muscle regeneration in combination with cell therapy approaches that are currently showing limited success,” Saba said. SMA - Kentaro Sahashi, M.D., Ph.D.
SMA is caused by mutations in the SMN1 gene, resulting in a deficiency of SMN protein. Humans have a closely-related SMN2 gene that also expresses functional SMN protein, but only in minute amounts due to differences in splicing, a cellular editing process that occurs during protein production. In mice with an SMA-like disease, Sahashi and colleagues plan to use synthetic molecules called antisense oligonucleotides (ASOs) to influence and evaluate different SMN2 splicing patterns and determine whether they have potential therapeutic value. The investigators plan to study the effects of ASOs in different tissues, administered via different delivery methods, and at different developmental stages. They expect to gain insight into the roles of the SMN protein in the SMA disease process, as well as an understanding of its normal functions in both the central nervous system and peripheral tissues. "This in turn," Sahashi said, "will contribute to the ongoing development of targeted therapeutics and the establishment of a useful therapeutic time window." Pompe - Eric Sjoberg, Ph.D.
MDA awarded a research grant totaling $186,372 over a period of two years to Eric Sjoberg, principal scientist at Amicus Therapeutics in La Jolla, Calif. The funds will help support Sjoberg's research into immune system response associated with enzyme replacement therapy (ERT), the only approved treatment for Pompe disease (acid maltase deficiency or AMD). In ERT, the acid maltase enzyme (GAA) is administered via intravenous infusion. The therapy has made a great difference in the lives of many people with Pompe disease, but challenges remain. The majority of Pompe patients on ERT develop antibodies against GAA that can severely limit their ability to tolerate the drug, and also limit the ability of the drug to work, Sjoberg said. Evidence suggests that a specific genetic factor called "HLA type" in the patient population may be behind the unwanted immune response. It's known that malformed or otherwise abnormal proteins are more likely to provoke an immune response than those with proper conformation (folding). GAA rapidly denatures in the neutral pH environment of plasma, the site in which the ERT is administered. This could be a possible cause of the ERT-mediated immune system response. We have developed a specific pharmacological chaperone (a small molecule that selectively binds and stabilizes the target enzyme) for GAA, Sjoberg said. The molecule, AT2220, stabilizes the enzyme at neutral pH, Sjoberg said, noting that stabilizing GAA in plasma may mitigate the immune response associated with ERT treatment. Sjoberg and colleagues plan to test ERT with and without AT2220 to determine whether a link exists between HLA types and ERT-mediated immune response. The investigators also will determine whether AT2220 can dampen ERT-related immune response. Cell Therapy - Ilona Skerjanc, Ph.D.
MDA awarded a research grant totaling $280,487 over a period of two years to Ilona Skerjanc, a professor in the department of biochemistry, microbiology & immunology at the University of Ottawa in Ontario, Canada. 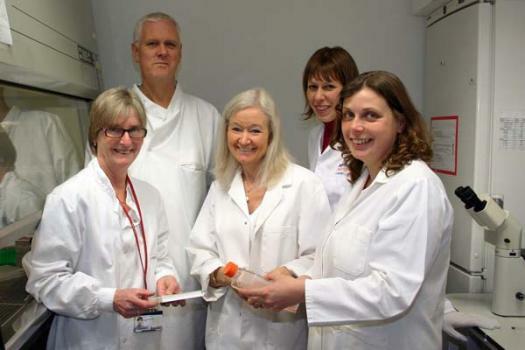 The funds will help support Skerjanc’s investigation into using cell therapies to enhance muscle repair in any of a number of muscle diseases, including congenital muscular dystrophy (CMD); Duchenne (DMD) and Becker (BMD) muscular dystrophies; and Emery-Dreifuss muscular dystrophy (EDMD). Several cell sources, including satellite cells (a type of immature muscle cell) and mesenchymal stem cells (derived from bone marrow), are currently under study for potential use in therapies to reverse muscle degeneration and strengthen existing muscle. However, Skerjanc noted, difficulties with these approaches include the requirement for invasive procedures, the availability of suitable donors and a limited potential for long-term benefit. Skerjanc and colleagues recently showed that human embryonic stem (hES) cells can mature into skeletal muscle via progenitor and myoblast (both immature muscle cell types) stages. In her new work, Skerjanc will isolate skeletal muscle progenitors from hES cells and examine their ability to engraft into skeletal muscle in a mouse model of DMD. “The overall goal is to provide a method of hES cell differentiation(maturation) and enrichment that will generate human myoblasts and progenitors for long-term engraftment and future therapeutic applications,” Skerjanc said. DMD - Lawrence Steinman, M.D. 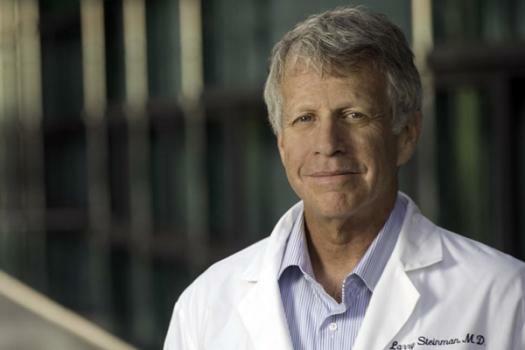 MDA awarded a research grant totaling $308,061 over a period of three years to Lawrence Steinman, Zimmerman Chair and professor of neurology, neurosciences and pediatrics at Stanford University School of Medicine in Stanford, Calif. 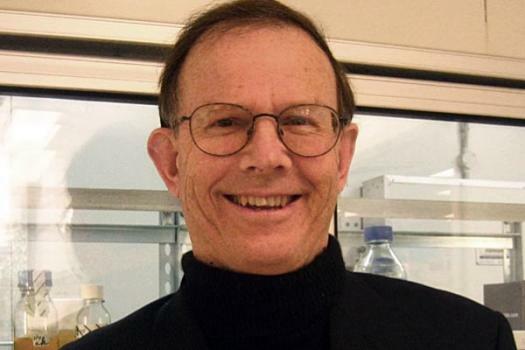 The funds will help support Steinman’s work to inhibit immune system response to replacement of the missing dystrophin protein in Duchenne muscular dystrophy. Dystrophin-specific immunity has been reported in people with DMD both before and after treatment with gene therapy. 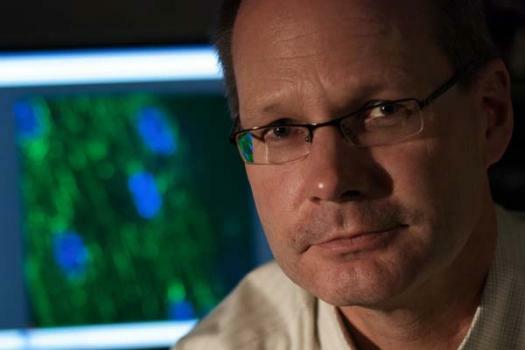 DMD/BMD - David Thomas, Ph.D.
MDA awarded a research grant totaling $390,000 over a period of three years to David Thomas, the William F. Dietrich Professor of Structural Biology and Biophysics at the Minnesota Muscle Laboratory, University of Minnesota in Minneapolis. The funds will help support Thomas' research into the role of calcium trafficking in Duchenne (DMD) and Becker (BMD) muscular dystrophies. Defects in the sarcolemma (the membrane that surrounds a muscle fiber) of people with muscular dystrophy lead to elevated concentrations of calcium in the muscle fiber — a condition that can cause cell death. Recent reports have indicated that increasing activity in skeletal muscle of a protein called SERCA increases calcium transport out of the fiber, lessening disease severity in mouse models of muscular dystrophy. Such an approach relies on gene therapy. Thomas and colleagues plan to develop a small-molecule approach to achieve the same end. 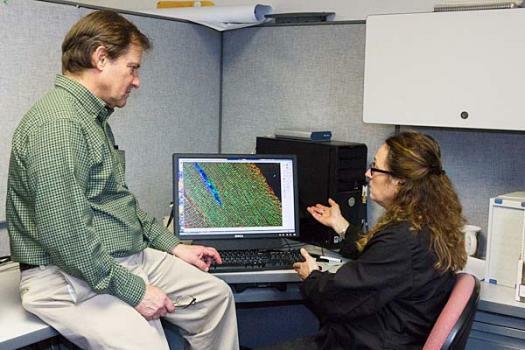 The group intends to identify small-molecule compounds that directly activate SERCA from skeletal muscle and then evaluate each compound's ability to restore health and function to single skeletal muscle cells and intact skeletal muscles. Finally, the investigators plan to begin testing the most promising compounds in mice. The results of this project are expected to provide proof-of-concept of for a small-molecule strategy to treat muscular dystrophy and identify a set of lead compounds for drug development. Muscle Physiology - Chris Weihl, M.D., Ph.D.
Chris Weihl, assistant professor of neurology at Washington University School of Medicine in St. Louis, was awarded an MDA grant totaling $397,064 over a period of three years. The funds will help support Weihl’s research into a process called autophagy in skeletal muscle. Data gleaned from Weihl’s studies may be applicable to a number of neuromuscular disorders including amyotrophic lateral sclerosis (ALS) and the muscular dystrophies; Weihl and colleagues will conduct their studies on a mouse model of myofibrillar myopathy (MFM). Autophagy, which means "self-digestion," is a cellular cleanup and garbage-disposal system. Cells use it to degrade and destroy abnormal cellular or protein components that otherwise could lead to toxicity and cell death. One hallmark in a number of neuromuscular diseases is the presence of protein clumps called aggregates or inclusions in affected tissues. It’s unknown whether facilitating the clearance or degradation of these inclusions is beneficial. Weihl and colleagues plan to test FDA-approved drugs reported to enhance autophagy to determine whether protein degradation via autophagy is protective. The group will test the drugs in a newly developed mouse model of myofibrillar myopathy. “These studies will answer the question of whether enhancing autophagy in protein-aggregate disorders is protective,” Weihl said. 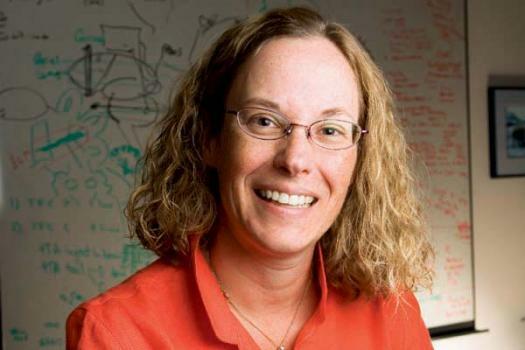 DMD/BMD - Nadine Wiper-Bergeron, Ph.D.
MDA awarded a research grant totaling $312,422 over a period of three years to Nadine Wiper-Bergeron, assistant professor in the department of cellular and molecular medicine at the University of Ottowa in Ontario, Canada. 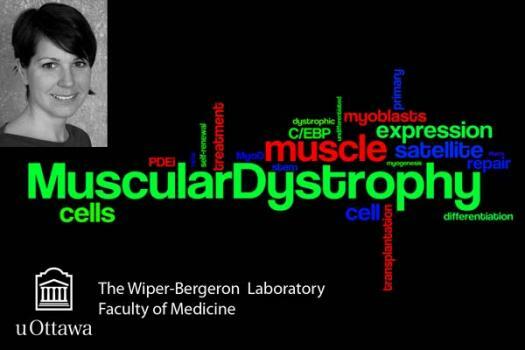 The funds will help support Wiper-Bergeron's work on improving muscle stem cell transplantation in Duchenne (DMD) and Becker (BMD) muscular dystrophies. One potential therapy for DMD and BMD is the use of stem cells to repair disease-damaged muscle. Stem cells can help the damaged muscle become healthy, reversing both muscle weakness and loss of muscle mass. "So far this approach has not been very successful," Wiper-Bergeron said, "because in addition to repair we need some of the stem cells to live in the muscle all the time, to make more cells that can help with repair and muscle growth." 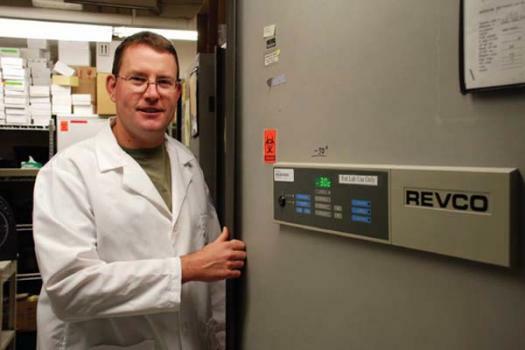 In previous work, Wiper-Bergeron discovered a new approach to improving muscle stem cell transplantation procedures that involves using a drug to reprogram immature muscle cells called myoblasts back into stem cells before transplantation. Using a research mouse model of DMD, Wiper-Bergeron and colleagues will now test their new approach and compare it to existing strategies. "It is our aim to make myoblast transplantation more efficient and sustainable long-term by repairing injured muscle and creating a population of healthy stem cells within the muscle," Wiper-Bergeron said. "Successful completion of this project will provide the necessary preclinical data to translate our basic science into the clinic."